Maybe I dismissed this film too early when it first came out. I guess I should have given it a chance, but it was about MMA fighting for Pete’s sake. Two brothers, one cage, a UFC Tournament; it just didn’t sound like much of a movie to me. I’ve never gotten into boxing, let alone mixed marital arts, although I did watch MTV’s Caged for its one season. It was OK I guess, but it was the people I was intrigued by, not the sport. So I let this movie pass me by and figured I’d never watch it. And then Nick Nolte was nominated for a Best Supporting Actor Oscar for his role. That caught my attention and was enough to get me to add the movie to my list. Well, I happened to see it on Netflix, gave it a watch, and began kicking myself for not seeing it sooner. It is a tale of two brothers: one a family man, one a drug user. Both were once fighters/wrestlers/brawlers, and both are good. When a new MMA event is scheduled and the prize is announced as five million dollars, both men begin training to win the money. Brendan fights for his family, trying to keep their home. Tommy fights out of rage; against his past, the death of his best friend, a brotherhood that he gave up. And both brothers fight against their father Paddy, a drunk who made their young lives hell but who now wants forgiveness. As the tournament approaches, each must face his demons, reconcile his past, and decide what he is truly fighting for. Sounds a little cheesy, and it is to some extent, but that may be the only problem in the movie. The plot seems a little forced and you feel from the beginning that you know what’s going to happen, but if you can accept that bit of fantasy the rest of the movie will hit you in the face with realism. The fighting itself, which I didn’t think I was going to love, was incredibly more realistic than any boxing movie I have ever seen. It seemed impossible that they weren’t actually hurting each other inside that cage. I could feel the characters’ pain, and it didn’t feel good. The acting was raw as well, with real emotion right there in front of you, no subterfuge or dishonesty. Again, you could call the characters a bit cheesy or stereotypical. I mean, Nolte plays an Irish man who drinks and is called Paddy. But he does it so well that you start to imagine that this is the original, not a copy, and the cliche becomes acceptable. And there’s the rub; you have to accept a bit of amateurism, a bit of unoriginality, but if you can buy into the story then the movie is meant to sweep you away into a world of pain, anger, and ultimately forgiveness. 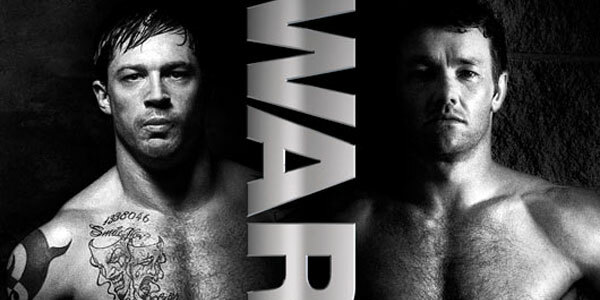 Give Warrior a shot, put up with its flaw, and you’ll be rewarded with a gritty, bloody, and fairly deep film that makes you forget it’s just a movie.